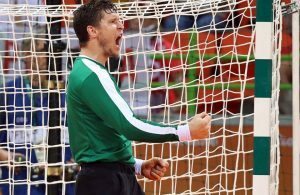 Filipe de Carvalho Pinto da Cruz, head coach of Angola, shared a few minutes with Handball-Planet.com to talk about the reality of handball in his country and the ambitions of his squad on this World Championship. Despite having lost two of their three matches on this Germany/Denmark 2019 World Championship so far, Angola are still on the race for the main round berth. Their shocking victory against Qatar on the opener match of group D in Copenhagen have given them two very valuable points and tomorrow, against Argentina, they will play a key match that might give them some more hope to continue the tournament in Herning. Their performances have earned applauses from the fans in the Royal Arena, even on last night’s match against Sweden, in which they lost 32-36, but battled for the entire first half. 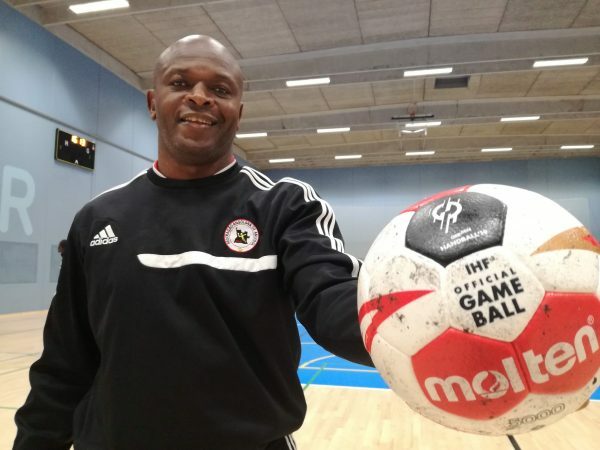 Handball-Planet sat down with Filipe de Carvalho Pinto da Cruz, coach of this African team whose aspirations are to learn and improve competing against “the best teams in the World”. He’s been the head coach of the national team since 2010, however, this is his first time on the bench in a men’s World Championship. Angola also qualified for the previous World Championship, in which they finished last. As many of the players said after the first few matches, their intentions are to finish better than on that 24th place, and a victory on the first match has already improved their performance, as they had lost all matches in France 2017. But what’s the reality like for a team like Angola? What is the competition like in his country? “The league is completely amateur. Having only four teams, it’s of course impossible to have a league, but with these four teams, we have a championship within the province of Luanda, it lasts between 4 and 5 months. Then we have a national championship that lasts around 10 days and from there we have our national champion, but that’s all for us, that’s the competition schedule in Angola. But even so, with those poor playing conditions, we made it to the World Championship”. HP: When you compare the reality of handball in Angola with that of the other participating countries, do you feel like these performances have been positive? Cruz: – “We are aware of what we have and who we are, the problem is not only on the training level or the competitions that we have in Angola. Our biggest problem is the lack of players. We don’t have a balanced team, we’ve got practically 7 or 8 players, and then we don’t have substitutes that are at the same level. We’re a country of 30 million people, and these are the players we have chosen, the best that we have. But of course, in terms of physique, there’s a huge difference compared to the other countries. We must be the most fragile team, with the least weight, with the least size, but we’re here, and we’re here to compete. But as I said, the biggest problem for us is not the training level, it’s the size, the biotype of the athletes that we have. But even with that difference, we try to find solutions in order to compete with the biggest teams in the world”. HP: And how does the Angolan Handball Federation work in terms of recruiting more athletes or people interested in the sport? Do kids in school play handball? Cruz: – “Well, it’s very hard…kids don’t play handball in school. It’s hard because the way sports are developed in Angola is through clubs. After the political problems that we’ve had, the educational system was left unstructured, and schools practically don’t have physical education, so from here we have a problem. I’m conscious that the massification of the sport is through schools, it’s easier to recruit players that way, but we don’t have that. Angola is a very big country, we have 18 big cities, the smallest of those being Luanda, the capital. And the four teams that we have participating in the main league are from there. The rest of the cities don’t really have teams, so most of our players are from Luanda, we are not taking advantage of the players we might have in other cities from the rest of the country”. With a smile on his face, Cruz continues to talk about the panorama of handball on his country: “At times, these cities take part of the national championship with their teams, however, they don’t have the resources to continue to play and develop. So, we have a big obstacle here, and this goes beyond the possibilities of the Angolan Handball Federation, because when they go to other cities, they see that these people don’t have material to work with, they don’t have balls or courts where to play. So, this should be a state policy, there should be an orientation towards the practice and massification of sports, but in order to do so, first of all you also need the resources, infrastructure, human resources, people who are capable of working on the development, otherwise it’s not worth it. We’re here as a group of real adventurers; because when I tell you about this scenario, not you nor anyone could believe that we’re here…the same happens with the women’s team, who also have only four teams in the national competition”. HP: And on this context, how crazy was it for you to see, for example, the performance of the women’s team in Rio 2016, where you were coach? Cruz: – “Well, the women’s team is a little bit more developed than the men’s team. They’ve been African champions many times [13 times], so they have more experience because they’ve been to many more World Championships. That’s why we had a very good performance on the Olympic Games. In our country, there’s much more interest and a bigger investment in the women’s team than on the men’s, because they have earned it, due to the fact that they’re used to bringing medals from the continental tournaments, so they have more attention, but we’re trying to do our path now”. 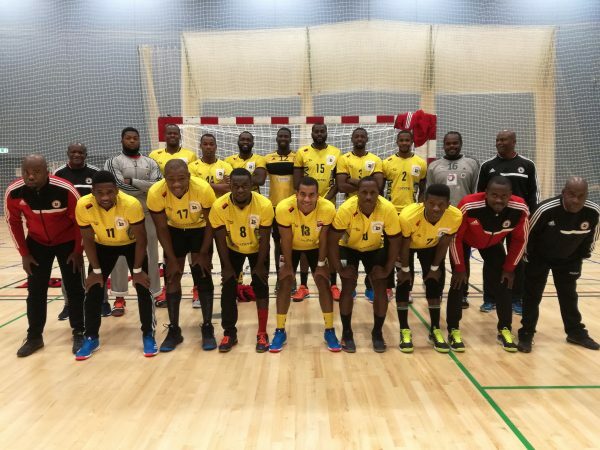 Angola are participating in their 4th IHF World Championship. Their next goal is to become African champions. HP: So, is your goal with the men’s team now to achieve something similar to what the girls did? Do you think you have the tools to make it happen? Cruz: – “Our objective, and this is something I have planned and thought of before coming to this World Championship, is to use this tournament to potentiate, to improve these athletes; so that they feel and realize that we’ll be in a better level after the experience acquired here, that we can be better. What I see is that this experience will give us the knowledge and confidence that will take us to the next level, not only the trainings, but to play against the best in the world and this is the way in which we will learn; and this is the way we have to play, with this intensity we’ve been showing so far”. HP: Are there any intentions, from the players, to make the move and try to play in Europe? Cruz: – “For those who show that have the level, the quality, to play in Europe, I think that’s the normal step. We’ve had four players who’ve already had an experience in Portugal. Some of them went back to Angola because they couldn’t adapt to the clubs and others came back because the clubs weren’t fully convinced of their abilities. Most of them are really eager to play in Europe, but of course they have to display that they have the capability to do it and that they deserve it, but I think it’s very difficult…there might be a it of lack of ambition from them…”. HP: Do you think it’s because they may not feel too prepared for it? Cruz: – “Maybe, yes. There’s some potential, but not enough maybe. We have the technical and tactical potential, but not physical; we’re all very slim and in Europe they all want players who are physically potent, but we’ll continue to work with what we have, with what we can and do our best”. Next Story → Brazil close to the biggest results in the history!